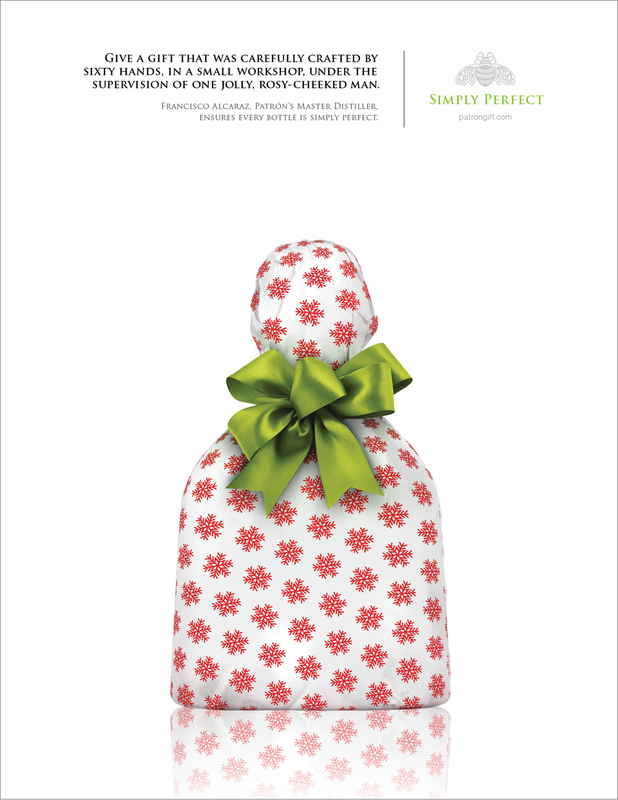 For the holidays, Patron wanted to shift their messaging from consumption to gift-giving. We did so by playing off of the iconic shape of the Patron bottle. Instead of showing a classic bottle shot, we chose to present the bottle as a gift, still wrapped, acknowledging that consumers would identify it simply by shape. We created a tv spot, as well as accompanying print and OOH, all of which would direct consumers to patrongift.com which would allow them to buy directly from the site.